Calendar: «Lithopolis Honeyfest Day in Ohio». «Even millionaires» illustrated quotation. Honey, free quote pictures for Facebook, Twitter, LinkedIn, Reddit, Pinterest and other social networks. 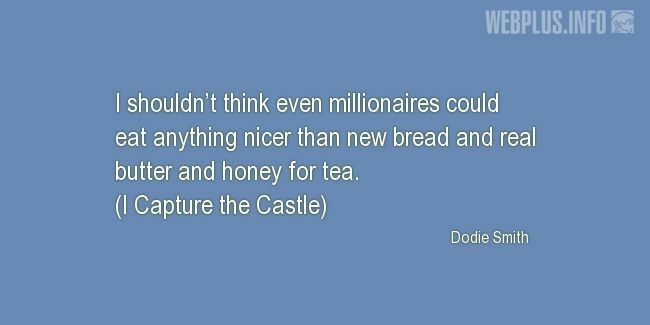 I shouldn’t think even millionaires could eat anything nicer than new bread and real butter and honey for tea.